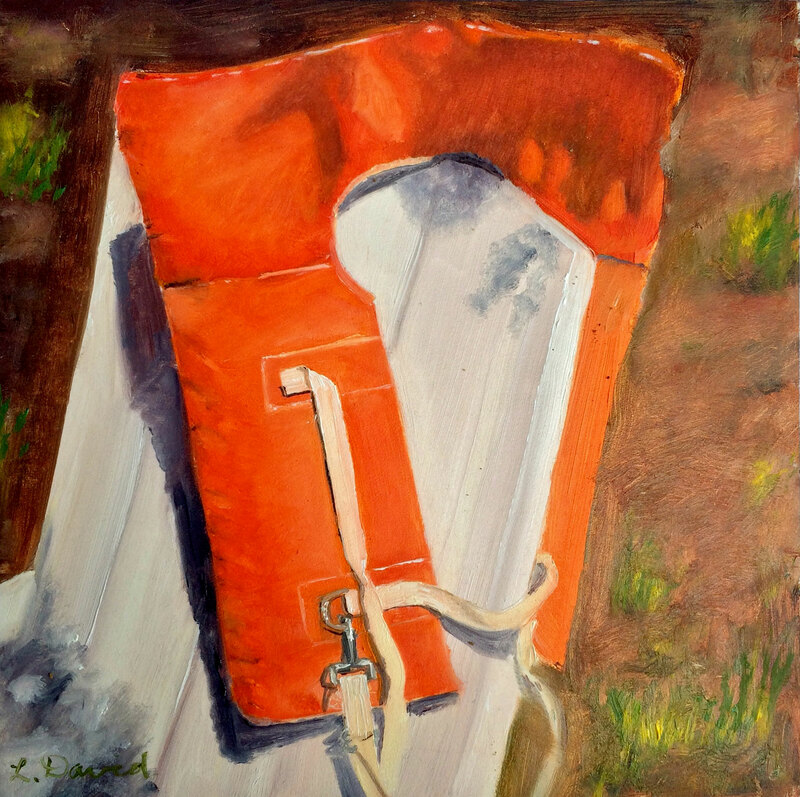 Life Preserver – Lisa David, artist. Wait- I'm an artist? Thanks, Peter! I really enjoyed painting this- and am *trying* to follow your advice of being bold and confident! I have you to thank for all these paintings and appreciate ANY feedback:)! Lee you nailed this one in both print and paint! YES–we were lucky if it was dry after the last wearing–but so many times it was not! The painting is wonderful–summertime afternoon shadows, the perfect shade of orange, the straps, and that hook…! Thanks for the memories!